Over the past few years the category of dry Rosé sales in the US has experienced tremendous growth. Dry rose is one of the fastest growing category in wine sales as consumers have moved past their fear and memories of White Zinfandel. If you haven’t jumped on the Rosé wine wagon yet…hop on as we explore the world of Rosé a bit more. What is dry Rosé? 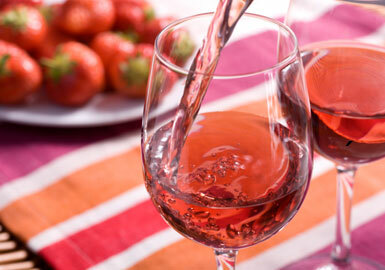 : In simple terms, Rosé is a red wine that was made with only a small amount of skin contact (1-3 days) with grape skins. By making the wine in this fashion, the limited skin contact only allows for a small amount of color to bleed into the wine. The longer the skin contact the deeper the color of the Rosé. How do you serve dry Rosé? : Consider serving Rosé as a white wine with red flavors. Similar to many CRISP or SILKY white wines, Rosé is light in body, fermented in stainless steel without the use of oak, bright in acidity, and best served chilled (but not freezing, should be 45 to 50 °F). What should I pair with Rosé? : This is an easy question, because the beauty of Rosé is its versatility and ability to pair with a wide variety of foods. My favorite pairings for Rosé include dishes that feature soft cheeses (i.e. brie, chévre, blue cheese), ham or prosciutto, and savory vegetables such as portobello mushrooms. You can incorporate these flavors into a number of dishes including gourmet ham & cheese sandwiches, baked macaroni & cheese with prosciutto and mushrooms, or a homemade 4-cheese pizza fired on the grill. 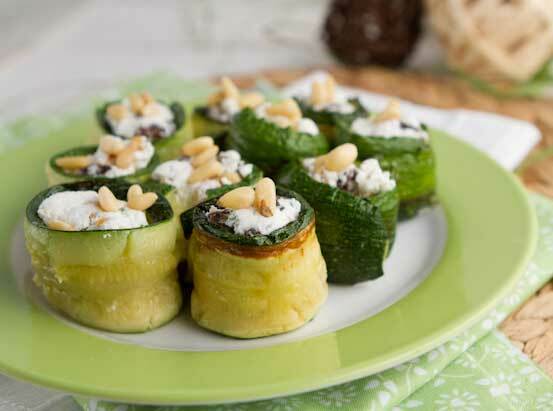 Paired with Zucchini Rolls with Herbed Goat Cheese and Pine Nuts. This entry was posted in Wine Trend Articles. Bookmark the permalink.